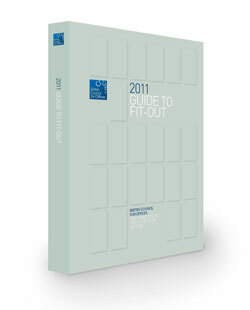 The latest edition (2011) of this best practice guide provides occupiers with a clear framework on which to base their office fit outs in the future. The purpose of the BCO Guide to Fit Out is to set the standards for professionals and occupiers to achieve the best quality office fit outs. This Guide brings together the knowledge of over 70 BCO members, with extensive experience in the design and implementation of office fit outs, and makes it accessible to the wider market. The Guide complements the BCO Guide to Specification 2009. "It's vitally important to get the best fit-out for our offices. It reflects the company's brand and good design is essential to ensure high rates of productivity."